Cheap non-stop flights from London to Shanghai from £345 return! German flag airline Lufthansa has just launched brand new promotion code in 2019. 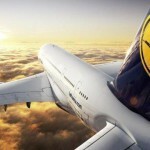 This time you can save some decent money when departing ex various airports in United Kingdom served by Lufthansa. You may easily save £25 just by using below promo code. 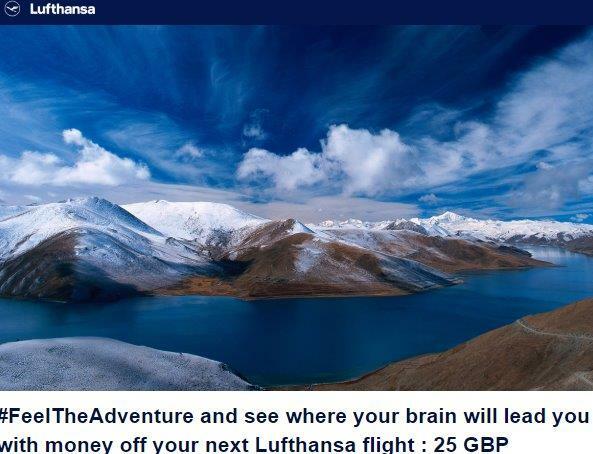 You will then receive an unique voucher code by mail that you can use to discount your next flight with Lufthansa UK or their regional partners..This discount code can be used for flights from 1st of Febraury till 1st of December 2019! To apply this Lufthansa promo code you will receive unique voucher by email. Then you need to proceed to last step “Choose Payment Method”. Right below price breakdown at right side of your screen you will see “Get a discount on your fare”. Click on it and enter below Lufthansa voucher code. Once you hit apply your next flight will be automatically discounted. Remember that all flights has to be on Lufthansa..no codeshare allowed. Simply fill out the form and you will receive a discount code by email which you can enter at the end of your next flight booking on Lufthansa web site. The value of the promotion will automatically reduce the net flight fare (excluding taxes and surcharges). This Lufthansa promotional offer is only valid for flights departing from UK and bookings made directly through the airline. There is also working promo code for flights from Germany. To save up to €20 just follow here to our earlier article. See also Lufthansa €30 discount all flights from Germany! The voucher code can be redeemed till 17th February 2019 and flight must be taken between now and 1st of July 2019. To use Lufthansa promotion code 2018 or in case of you want to read full conditions please visit Lufthansa web site directly.